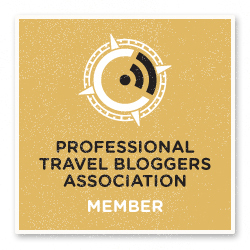 I’ve told you lots about things to do in Kyrgyzstan and where to hike – but I haven’t written much about Kyrgyzstan crafts and traditions! 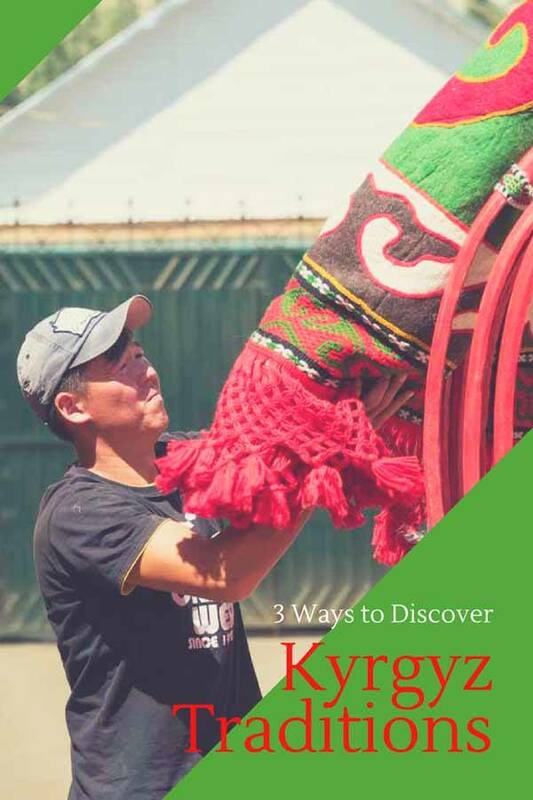 In honour of Nooruz, the Kyrgyz New Year celebrated on March 21st, here are some interesting info about Kyrgyz crafts, traditions and craft-related experiences in the country! There are so many reasons to visit Kyrgyzstan – most of them are nature and adventure related, but not only. 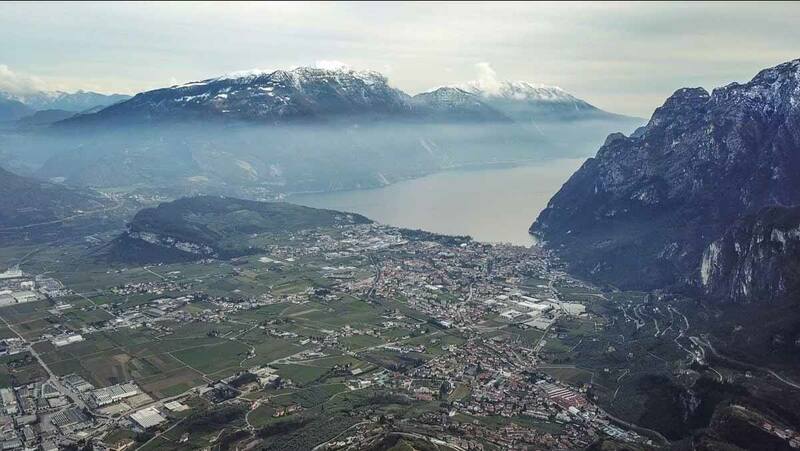 Yes, the country is blessed with vast tracts of wild, pristine nature, mountain peaks and glaciers that are yet unnamed, and many opportunities to go hiking in summer and ski mountaineering in winter. Yet, not many are aware of Kyrgyzstan’s history, and of the country’s role as part of the Silk Road trade route. 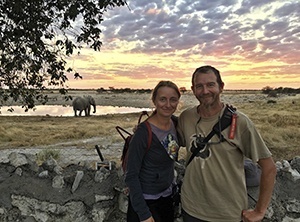 The country has been a crossroad of people and cultures for centuries, and traces of the culture and traditions of the many communities that inhabited it over time still survive in modern-day Kyrgyzstan. 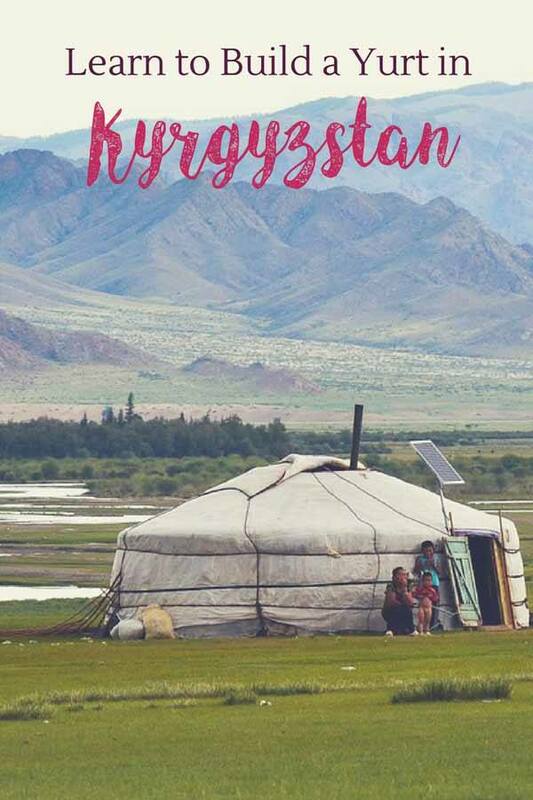 Travelling around Kyrgyzstan, you’ll definitely see many yurts, and more than likely you’ll be invited inside and possibly share a drink of kymyz (fermented horse milk) with your hosts. You’ll probably sit on beautifully crafted felt carpets, and marvel at the yurt’s interior decorations. 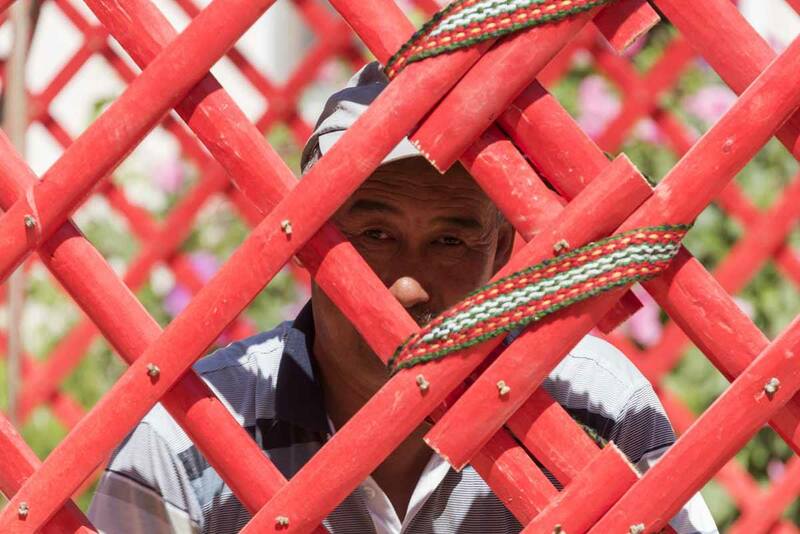 Have you ever wondered how yurts became part of the Kyrgyz traditions, and how those carpets are made? Visiting Kyrgyzstan without taking the time to learn about the country’s history, crafts and traditions would be a real shame. Here we’d like to tell you about some places where you can learn more about Kyrgyz tradition, and even try your hand at creating unique souvenirs! Nomadic culture in Kyrgyzstan has been prevalent for hundreds of years. The first Kyrgyz people are believed to originate from Mongolia and Siberia, and settled in modern-day Kyrgyzstan during the 2nd century BC. For centuries, Kyrgyz nomads were shepherds, moving across the country with their livestock and families, heading to the jailoo (high pastures) in summer, and returning to the valleys in winter. They lived in yurts, round-shaped tents made with felt and wood. 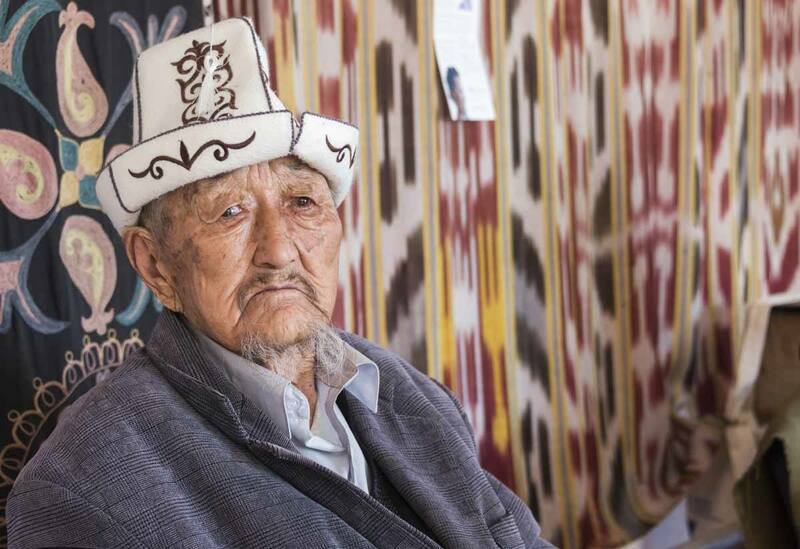 In Kyrgyz, yurts are known as boz ui, meaning ‘grey house’, in reference to their colour. In fact, traditionally the wool of white sheep was used for clothing, and felt made from darker wool was used to cover the yurt walls. Kyrgyzstan was under Soviet rule for the best part of the Twentieth century. As an attempt to suppress Kyrgyz culture and language, during this period many nomadic families were forced to settle in towns and villages. 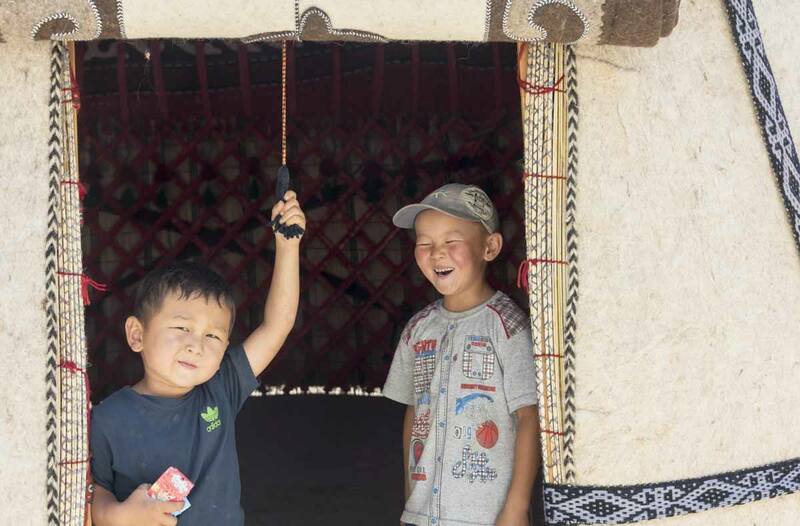 After the country’s independence in 1991, shepherds and herders began to head back to the jailoo with their animals in summer, not just as a way to return to their yurts, but more importantly, to reconnect with their roots and their tradition. Yurts look simple from the outside, but inside they’re finely decorated with strips of woven wool, felt carpets, tassels and wool hangings. The felt carpets, often finely embroidered, are placed on the floor and around the yurt’s walls – have a practical function before decorative, keeping the temperature inside the yurt constant. The woven wool strips and tassels hanging from the yurt beams identify the family that lives into the yurt, and where in the country they come from. The rounded shape of the yurt also has a very specific, practical function – the absence of corners makes it aerodynamic and able to resist strong winds and storms. In winter it can be heated easily because the round shape allows the hair to circulate freely, while in summer it remains cool because the heavy felt layers isolate it from the heat of the sun. During our trip to Kyrgyzstan last summer we visited the village of Kyzyl-Tuu, known for its long yurt-building tradition, where we witnessed a yurt-making demonstration. The components of a yurt weigh approximately 150 kilos, and can be put together by 4-5 people in about an hour. The inner structure is made of wood, harvested in winter then dried and curved by exposing it to steam, which makes it malleable. 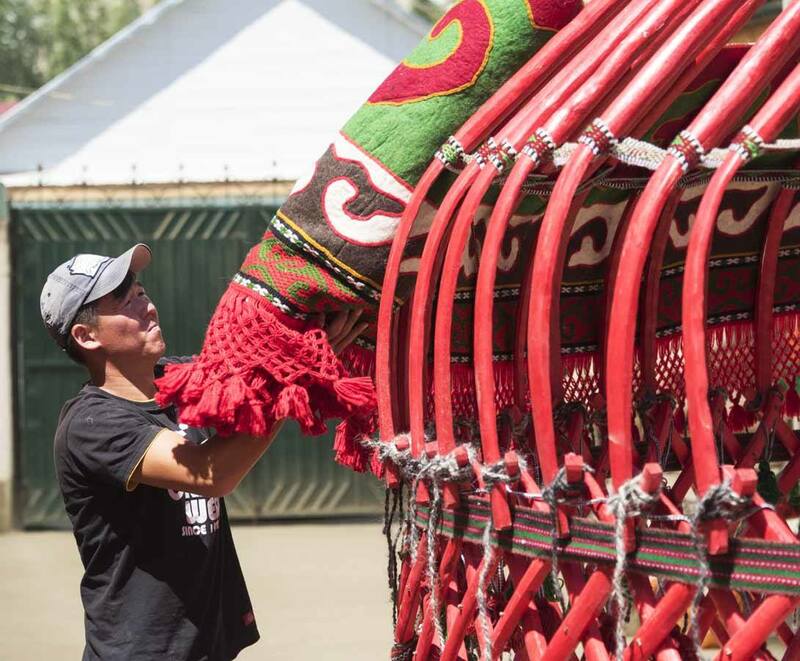 Afterwards, the wood is cleaned and painted red, a colour that symbolises protection and beauty in Kyrgyz culture. Various pieces of wood are assembled and bound together, creating a lattice structure known as kerege, divided in several parts that can be folded away when not in use, making them easy to transport. After assembling the kerege in a round shape and adding the entrance door and door frame, it’s time for to hoist a wooden circle on the top of the yurt, the tündük. It represents unity, and it is so important in Kyrgyz culture that you can also find it at the centre of the Kyrgyz flag, surrounded by 40 rays of sun representing the 40 nomad tribes who fought together against the Mongols in the historical legends of Manas. The moment when the tündük is hoisted is considered a symbol of peace and fortune, meaning that no battle is taking place, and everyone is at home. The tündük is hoisted by a man holding a special stick, known as the ukuruk, while the rest of the yurt builders help connecting the sticks, known as uuk, that join the tündük with the kerege, creating the roof of the yurt. The uuk are fixed to the kerege and attached to each other with woven wool strips tied together. Finally, the kerege is wrapped with bundles of straw, which sometimes are painted, and then with layers of felt known as guise. Check out this time lapse to see how a yurt is built in just one minute! The same day we went to Kyzyl-Tuu we also visited nearby Bokonbaevo, where we joined a felt carpet workshop hosted by an NGO called Altyn Oimok (Golden Thimble), offering employment opportunities to women from rural Kyrgyzstan. Yurt building was traditionally carried out by men, while women had the responsibility to make all the beautiful felt carpets, wall hangings, tassels and other decorations found inside the yurt. The two most popular carpet-making techniques are ala-kiyiz, pressed felt carpets, and shyrdak, made with mosaic-like felt pieces stitched together. In Bokonbaevo, we joined an ala-kiyiz workshop, which also allowed us to see how felt is made. Sheared wool is cleaned and spread on a chi, a straw mat, which is then soaked in boiling water, tied in a tube and ‘beaten’ with sticks and wood for about 30 minutes. After a short break, the straw tube containing the felt is unwound and then rolled again in the opposite direction, and the process is repeated. Finally, the felt is unrolled again and left to dry. If plain felt is being made, the wool pressed into the chi will all be dark or light grey. 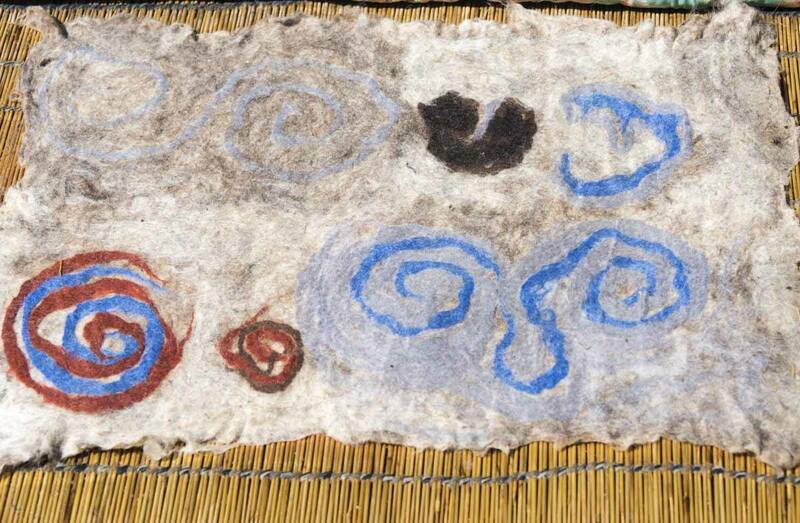 In the case of ala-kiyiz, wool tufts previously coloured with vegetable dye are arranged in the desired pattern on the chi before starting the rolling and pressing process – as a result, the pattern will then be ‘pressed together’ on the felt piece obtained. 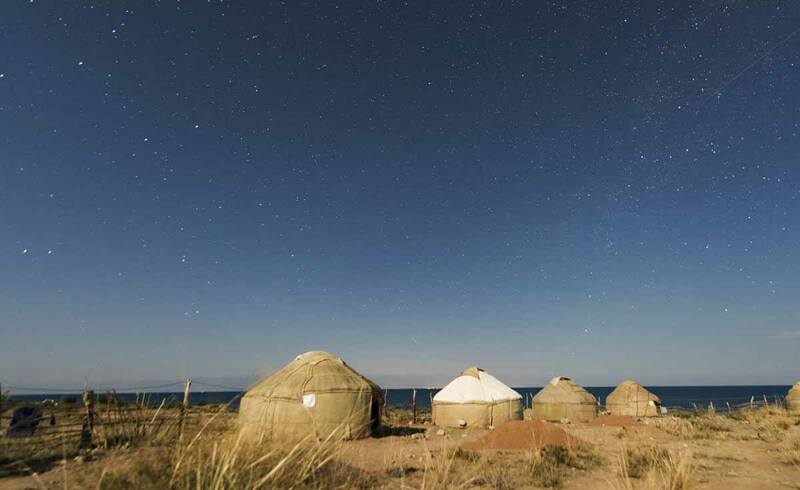 One of the best places in Kyrgyzstan to learn about crafts and traditions is the southern shore of Issyk-Kul lake – that’s where Kyzyl-Tuu and Bokonbaevo are located, and there are also many yurt camps if you want to spend the night in a yurt without heading all the way up the mountains. However, if you’re not making it as far as southern Issyk-Kul, I’m sure you’ll visit Karakol – Kyrgyzstan’s fourth largest city is the base for many amazing multi day hikes like the 3-day Turgen-Ak Suu, and it’s close to Jyrgalan, another great hiking hotspot. In Karakol, you can learn more about the cuisine and culture of Dungan people, a Muslim community who migrated from China to escape persecution in the 19th century. A Dungan dinner is an experience that you won’t easily forget – make sure you come hungry, it’s a real feast! 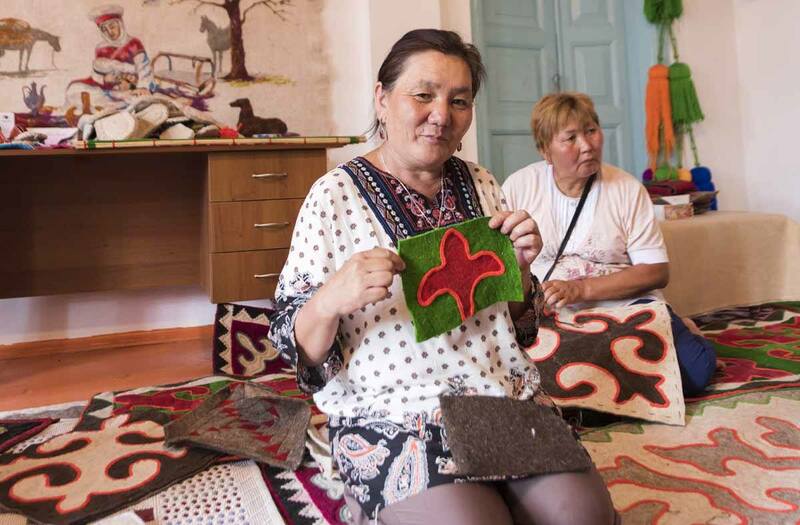 If you want to learn more about Kyrgyz carpets and perhaps buy some beautiful rugs for your home, you can join Damira’s shyrdak workshop in Karakol. Shyrdak carpets are made of brightly coloured felt pieces, cut into shapes and stitched together in a mosaic. Each design has a specific meaning – for example, the ‘ram’s horn’ design symbolises prosperity, the ‘sacred mother’ is a symbol of protection against misfortune, while the ‘raven’s claw’ means leaving a trace. Damira learned to make shyrdak from her grandmother, and now she teaches young women in Karakol to allow them to be economically independent and to preserve this ancient craft. During the workshop we had the chance to cut out some shapes and stitch them together with some colourful thread, creating some mini oven mitts that we now use all the time at home – a great, useful souvenir! We also marvelled at some of the shyrdak carpets on display, beautiful works of art that in some cases took several months to complete. Similarly to Bokonbaevo, Damira’s workshop in Karakol is a great place to buy souvenirs, knowing that not only you’re helping preserve a craft that dates back centuries, you’re also helping a group of women support and empower themselves. 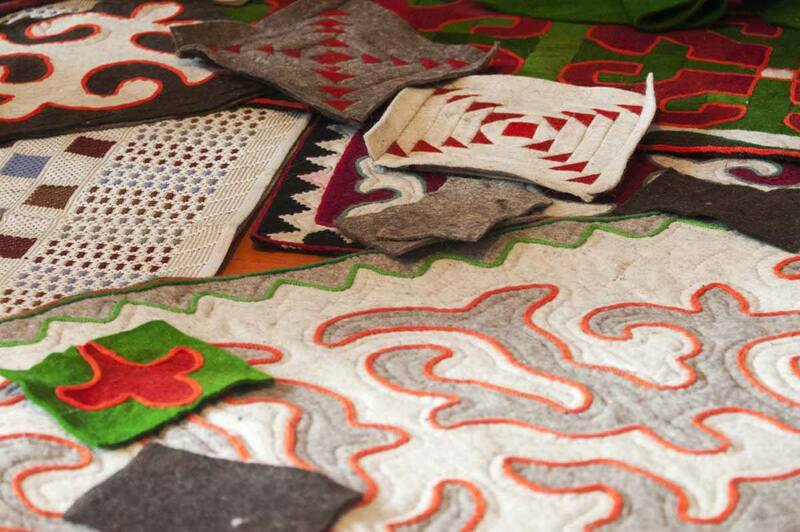 Would you like to learn more about Kyrgyz crafts and traditions? 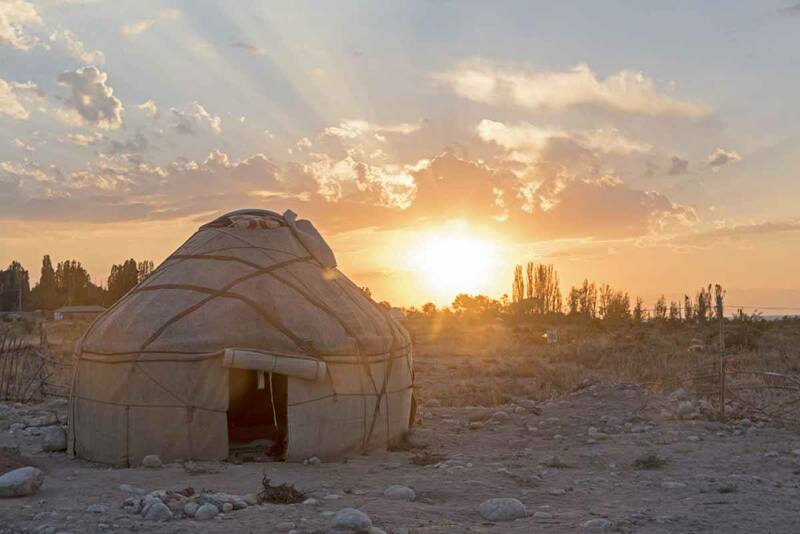 Get in touch with Destination Karakol to join Damira’s shyrdak workshop, and check these links to find out more about the yurt-making demonstration and felt handicrafts workshop on the Issyk-Kul south shore! 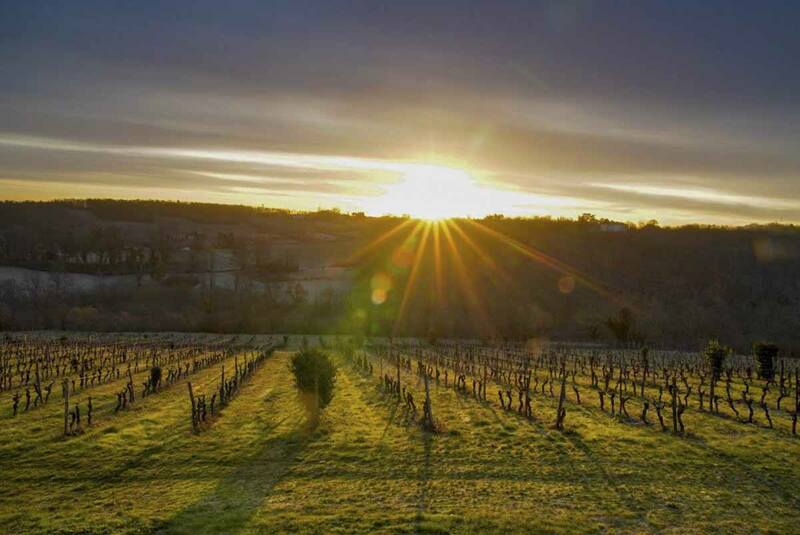 It’s a spectacular country! I really loved it. Hope you make it there!